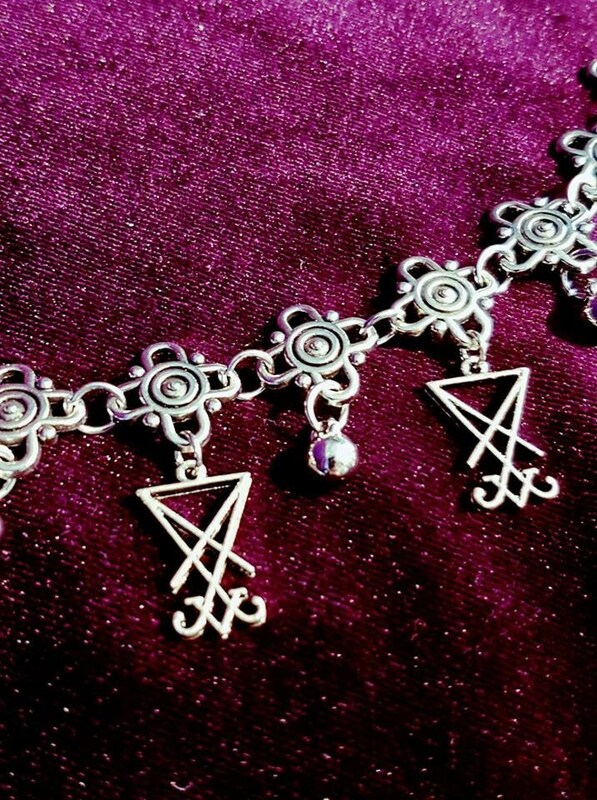 Luciferian Sigil of Lucifer Anklebracelet | Handbracelet. 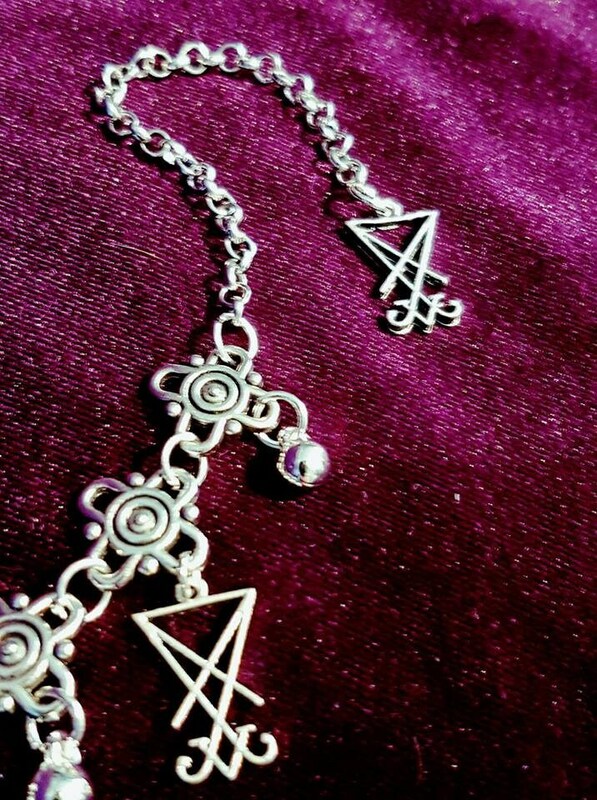 - 17cm long bracelet, adjustable up to 27cm with extension chain. 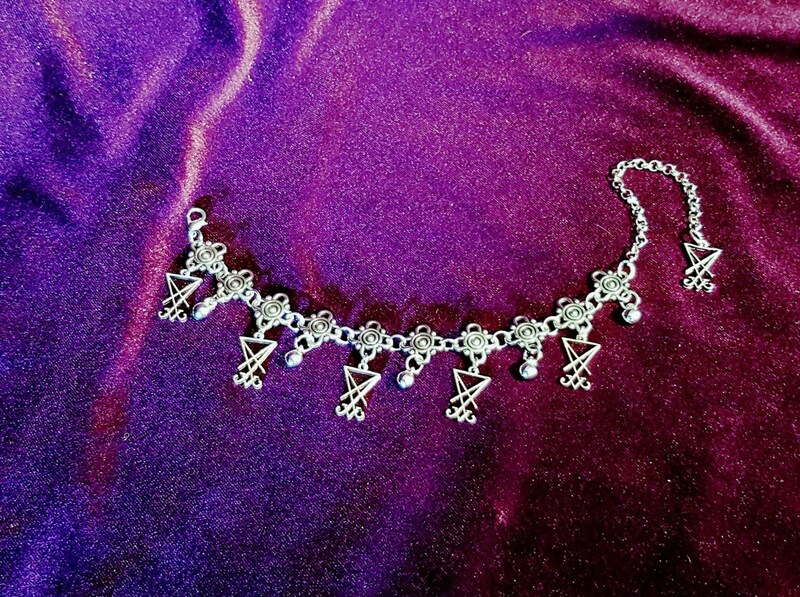 - Lots of Sigil of Lucifer pieces, + 1 piece at the end of the chain. 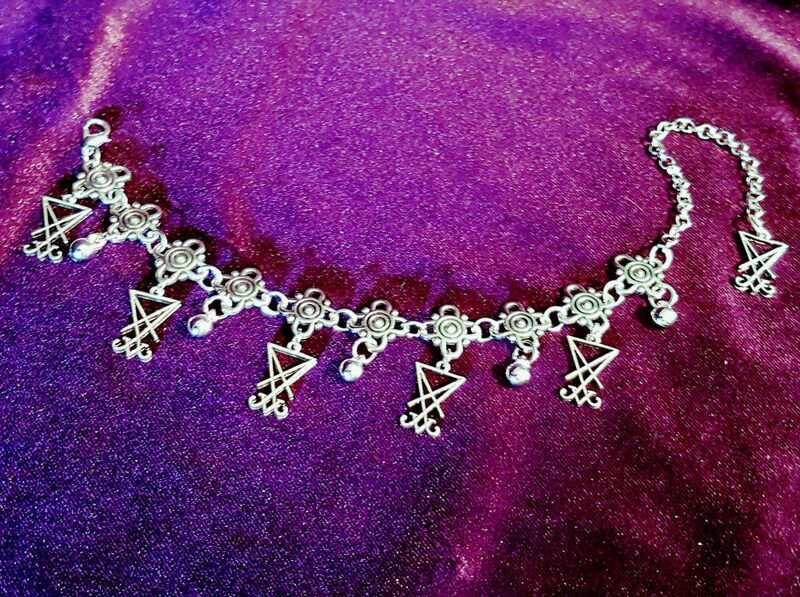 Can be worn as an anklebracelet or a normal handbracelet. 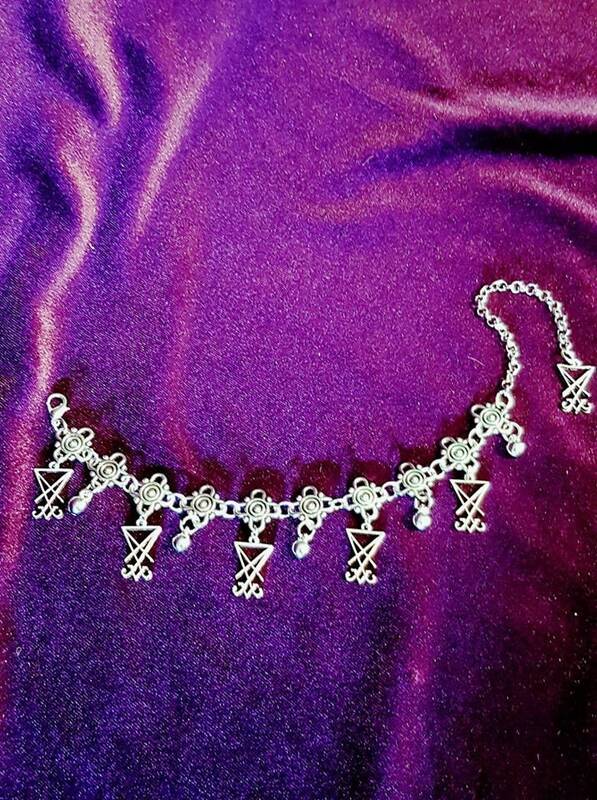 Gorgeous anklet, it looks amazing paired with the matching necklace. 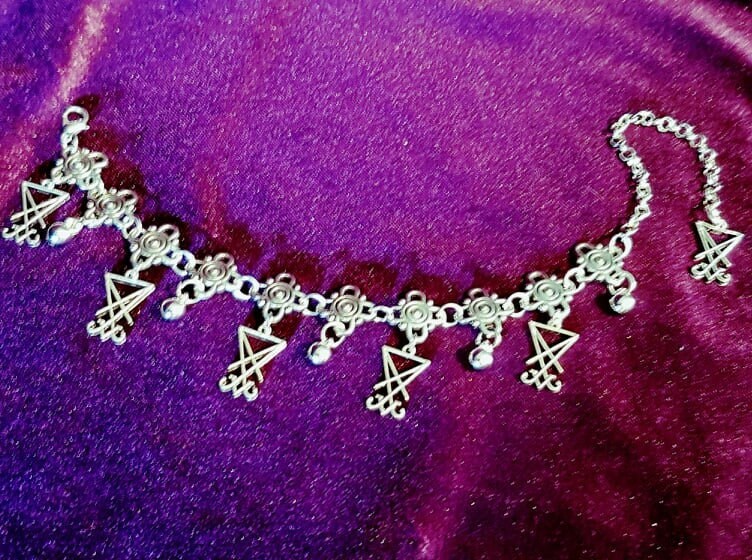 A beautiful way to show your devotion! I get many compliments on this every time I wear it. Seller is awesome! Would highly recommend. Items arrived quickly and looked even nicer in person. Thank you!